STATUS: This hack has been put on the backburner for another hack I'm making. Turns out I have too little experience for a hack this big, and to be honest there wasn't much in terms of gameplay done. I will return to this eventually, after this new hack is made. Mario in the Mirage Machine: Secrets of Subcon ! New! As of April 22, 2015: Get your support banner! Update as of April 22, 2015: Currently working on spriting Kamek, as well as level and story planning. SO EXCITED! Stay tuned for updates! Before you get the ball rolling reading this, you're welcome to skip this part. It's just my personal thoughts on my standpoint on this project and where I want it to roll. 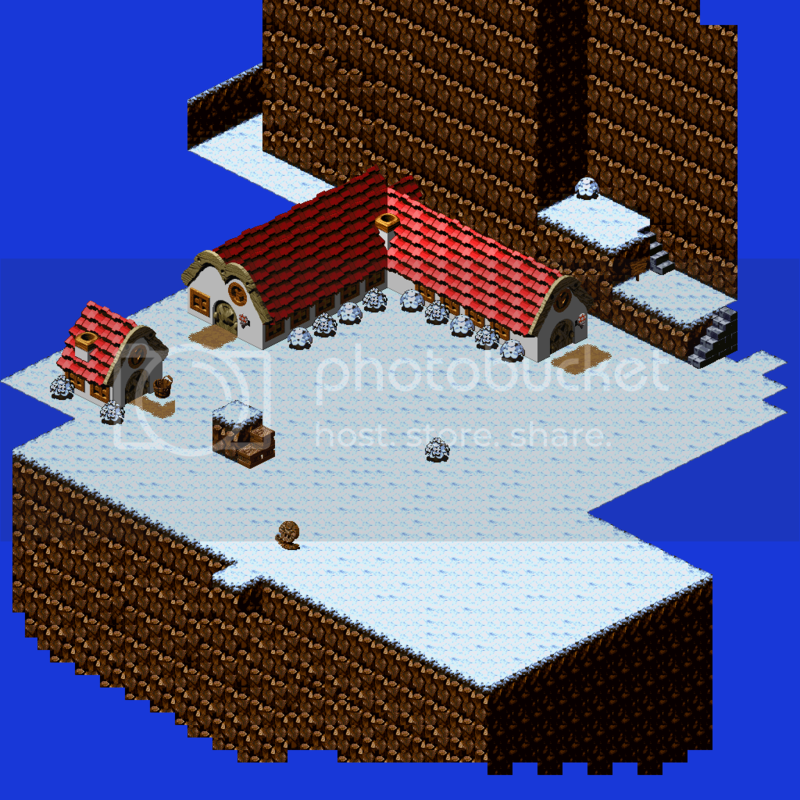 This is a personal project for me, and my love song for Super Mario RPG. I'm attempting something I've never tried before, making a full storyboard, cast of characters, as well as interactive environments based around the legendary SMRPG and Mario universe. You're welcome to call it a fan-fic you can play, as that's what it'll likely boil down to in the end. The story is not meant to be serious, it'll likely poke fun at itself. I'm going to try to reinvite the charm, humour and energy of the original game, but give the whole game a new air and atmosphere without changing it's flavor too much. What that means is you'll return to the original SMRPG world with it's charm, but with some innovation of my own new ideas, the player will explore the unseen depths of characters within the game that wasn't previously explored in the original. Examples include what is going on in between the adventures with the original cast, what Mallow is thinking during his adventure with Mario, what's going on with Mallow after he accepts his princely duties, just to name a few things I want to explore. Part of the reason I love SMRPG is for it's light-heartedness and childlike characteristics. The plot is simple, straightforward plot to follow. It explores fantastic, bright new lands with charming music and a good taste of action. I couldn't help but think, what is going on behind the scenes of these characters? Like our world, there is good and evil in it, but where does it develop in Mario's world? How does it take shape? I wanted to explore another idea of where evil could come from instead of "that dude is a bad guy just because." Of course, I'm not going after the idea in a traditional sense, this is the Mario universe we're talking about here. I'm more after the metaphor in the end of the game, of a certain "evil" that resides in all of us. I'm still trying to think of how it'll unfold without the player becoming bored or without it becoming some cheap philosophy lesson. 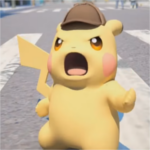 I also want to explore different ideas of each character and their choices, as well as introduce other characters that have some sort of impact on the player. All in all, this is really a therapeutic exercise for me. I'm taking ideas from my own life challenges and experiences and translating them into something relateable and in a charming way made for the Mario universe. I just hope it doesn't become edgy or be too out of tone for a Mario game. I want the player to think about the choices the characters made, and have them reflect upon it in themselves. Well, if you read all that, thank you! I'll admit I'm probably talking pretty big (this hack will take some time to develop), but we'll see where it goes from here. Here's my shot at the (slightly ambiguous) story! Warning: Terrible Mario Fan-Fic Inbound! This takes place an undisclosed amount of time after the events of SMRPG. Mario and friends are invited to a special event (?) in Nimbus Land. Even Bowser is invited, and shows up on the idea from Kamek on account of... politics. "Shut up it makes sense," grunts Bowser. Mario responds by taking a step back. Mario, Mallow, his parents, his guards and a small group of guests listen to his speech that he clearly barfed up. 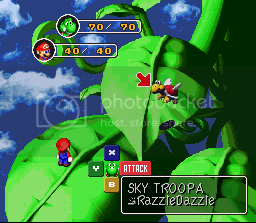 "I'm spreading the word the Koopa Troop has changed its leaf! You heard right! The Koopa Troop will now mark truces with neighbouring kingdoms, on the account of... politics. Shut up it makes sense! We're looking to rebuild my keep, and we need donations and troops! Whattt, you don't trust me?! Even after all the trouble dealing with that sword guy and his lame army?! Why I aughta... Err I mean, we should all get along! You can trust me now that I won't pulverize every one of you in this room! Right?!" Bowser's eye twitches. Some time later, an accident occurs and Mallow gets a bump on his head that causes amnesia. Mario and Yoshi have to travel inside Mallow's dream head world (yeah it's a thing) in order to restore balance to Mallow's disorder. If you've ever watched Inception, it's sort of like that. Anyway as the game progresses, you have to gather seven of Mallow's most influential memories of people in his previous journey with Mario. Mario will run into Mallow's old memories and thoughts and have to collect them, fighting some old and new dream baddies along the way. That's just Chapter 1! In Chapter 2, things get a little wonky. 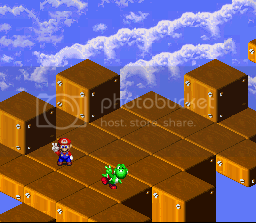 After some mishap from the Koopa Troop, Mario, Yoshi, Mallow, Kamek and Bowser along with some others are teleported and trapped within the dream world of Subcon (or maybe the Mirage Machine?). After the mishap, a new entity appears within Subcon, prompting those who are trapped within it to come together to stop this new force, even if it is reluctantly. What happens next, you ask? I don't know, I'm still writing it. I'm not giving you any hints, shoo shoo! - New story! A semi-serious three-chapter story with so many plot holes you'll crash your car trying to count them! - More environments to explore! Explore the new yet familiar dreamscapes of Mallow and others in the newly lit and bizarre world of Subcon! - New events! Interactive environments! See strange dreams you never thought the characters had dreamed up! - New playable characters! See more rivalry and drama within your party! Brand new legitimately terrible Mario fan-fic character development for YOU to loath AND play through! - New supporting cast! More characters to charm you, and to call you stupid! - New and fresh battle sequences, as well as returning battles with baddies who have new twists on how to defeat them based on how the setting feels. Will offer slightly more strategic sequences than the original, but not hard enough that you have to be an expert of the original game, or any tactical RPG for that matter. I will try to shoot for the novice player difficulty. - New attacks and just about everything battle oriented. - The good hearted Mario makes his return as our main protagonist. He is the driver that takes us through our story. He can be a little too gung-ho about getting in fights. His motto comes from Frogfucius: "Jump on your problems like Mario jumps on his enemies." In battle his stats are all balanced. He comes with two new special abilities and one revamped skill. Prepare to jump on a lot of your enemies, because the jump element now causes mute! - Yoshi is the first to join the group. Rain or shine, sacrificing themselves for you and standing by your side even through all the tough times you've had, Yoshi is as loyal as it gets. Yoshi's motto is "Eat well, and never get full!" In battle, Yoshi is built to heal and support his allies. Yoshi has certain eggstraordinary abilities that'll let you tackle even the strongest of foes! His skills have developed through Mario's adventure that he now is glass cannon in this! His specials are quite supportive, and the ones that deal damage pack quite the punch. Take him when you want quickly defeat waves of enemies, along with quickly perking up your allies! - Kamek is the snarky comic of the group and is the brains behind Bowser. His relationship with Bowser is tight knit, but may actually branch out to be more than just being partners in crime. He is the gauge to keep Bowser's impulsiveness in check. He has the ability to actually make Bowser flex his smart-muscle and make him THINK for once! His mottos are "The Koopa Troop is #1!" and "Children first!" He is the mage of the group, exploiting the weaknesses of enemies with various powerful spells used to control crowds of foes. Get away useless useful spells, all the offensive specials he casts can inflict ailments AND big damage! At the cost of more FP, of course. He and Bowser both work to contrast each other: Kamek controls the crowds and Bowser takes on the single, larger foes. - Last but not least: His followers fear him for his power, brawn, and looks; He is the BAD King and rival to Mario; He's the big-bad Bowser! He isn't the King of Koopas for nothing. "Nobody can be the boss of me, NOBODY!" His motto for his troop is "Loyalty to me, invade kingdoms, steal the princess and defeat Mario! Or ELSE." He is built with lots of physical brawn for battle, but this time has some new supportive abilities to give him and his troop more edge. "Bowser is BACK, baby! Muahahaha! Miss me? Yeah you did." I vow to not make this project gratuitous and not finish it. I'm hoping that with that plan and the story behind me I can really make something work. I'm going to muster up all the motivation and ambition to finish this! Any comments, crits, ideas, suggestions or whatever have you, will be reviewed and are appreciated. So at the beginning of this month of December, I decided I'm finally going to do it. I'm going to make a full hack on SMRPG, and not just any hack, but my own unbiased hack and not just some scrap test patch. Up to this point I really have not produced much of anything substantial for the hack except a few level, enemy and player concepts and a little bit of the story to go along with it. So what do I have? I have a basic plot that I would like to share and hear comments about. This takes place after SMRPG. Mario and Mallow go on a journey, and Mallow gets a bump on his head that causes amnesia. Mario has to travel inside Mallow's dream head world (yeah it's a thing) in order to restore balance to Mallow's disorder. It's sort of like Inception... Anyway, throughout the game you have to gather seven of Mallow's most influential memories of people in his journey up to that point. Mario will run into Mallow's old memories and thoughts and fight some old and new dream baddies. Up to this point I plan on six seven different dungeons, and one three towns. I've made part of one town and finished one dungeon. I have ideas about what I want to do for all the dungeons but nothing else is set in stone. I plan on new spells and attacks (have a few already) as well as levels, events, battles and other goodies. Stay tuned! Any comments, crits, ideas, suggestions or whatever have you, are appreciated. Layout by Erik557 & LDA. I don't even know what I'm actually doing anymore... will I ever finish a hack? This is awesome. I can give you some ideas on what to put in your SMRPG hack if you like? Mallow can have a new move called cloud 9 which restores all of the party's alignments. 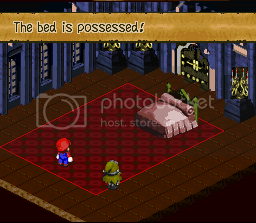 A possessed bed. What would cames next? I really like this idea should be cool if you put a child Malllow and he playing on the clouds. If that was done would be really great. Plays. There is a way to make characters immune to ailments by modifying their base armor and the rest of them so all of their armor protects them from scarecrow secretly. That's a great idea! I'll definitely include that. It would make ailments more bothersome and Mallow would be more useful. I think it'd work well. I'm totally open to ideas. I'll include you and it in the hack if I can! When I figure out the spell list I'll post that too. (In a spoiler of course.) Stay tuned! I can find a way to include that. Garro did make his statue when he was pretty young. I wonder how old Mallow was when Frogfucius found him? Would he not remember his parents? I guess he wouldn't, because he was young enough to be convinced he was a tadpole. Depending on his age, what would Mallow be doing? Alright! I really knew you need someone who can give you ideas for your hack. I would do all these in lazy shell, but I'm not good with it. Wow! I'm amazed by your snow palette. I've tried to mess with the palettes and were really bad! Your snow color is godly good! Same thing with the beds and everything else! I got more ideas for you to put in the hack. For the battles: put animations in the backgrounds of each scenery so the background can have some movement, put some NPC's or enemies at the background, and when you win a battle they move on (like the animation where paper Mario always wins a battle and walks at the end). 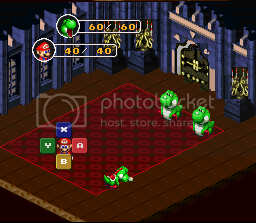 For levels: The mushroom kingdom dungeon should only include Mario enemies (goombas, Koopas), for the tadpole dungeon it will only have water enemies, booster's tower should be different now with new textures and also make it bigger and longer, nimbus land should have a slightly different cloud textures, valentina's castle should be a bit brighter and also have more rooms to go to, and for the town make it like a bit of toad town from paper Mario. That's all I have to now so stay tune for more ideas okay. Really sorry for the long delay, been busy with family and stuff the past two weeks! Why thank you. I made the snow palette a long time ago, I think I used Nimbus Land's palette and combined it with Rose Town's. Thanks for the suggestions, I like them! What would the Whipster be? For monsters, I like that idea, it'll help keep things simple. For the Tadpole Pond dungeon I'll do something like that (Frogogs and Cheep-cheeps, etc). 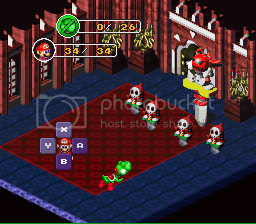 In the MK dungeon I'm using Yoshi as my main enemy for some reason (I made this part of the hack a long time ago and want to include it), so I'm going to try to incorporate Yoshi into the main story somehow. Enemies like the toy bin and the bed are only the top of the barrel for new stuff. I've got some more surprises planned! I was actually planning for Booster's Tower to be a Zelda-like dungeon, where you had to collect keys and go through a sort of dungeon maze, like Zelda. Same with Valentina's Castle, though I'm maybe not since I'm not that far yet. Textures might be more of something I'd change after the hack is fully playable. A Toad Town might be too much but we'll see. Thanks for the suggestions, I appreciate it! Nice idea with the booster tower. Here, have a screen shot. Still very early but the idea is you're going to be able to walk around on the side of Booster Tower. I was thinking you'd have to fight a certain chomp guarding this side of the tower... Given the limited resources I'm not sure how big he'd be, but I'm going to include him! Good luck with your hack and also I would be using these ideas, nut I don't know anything about the scripts and everything like that. And yeah your welcome, since I had these ideas in mind. 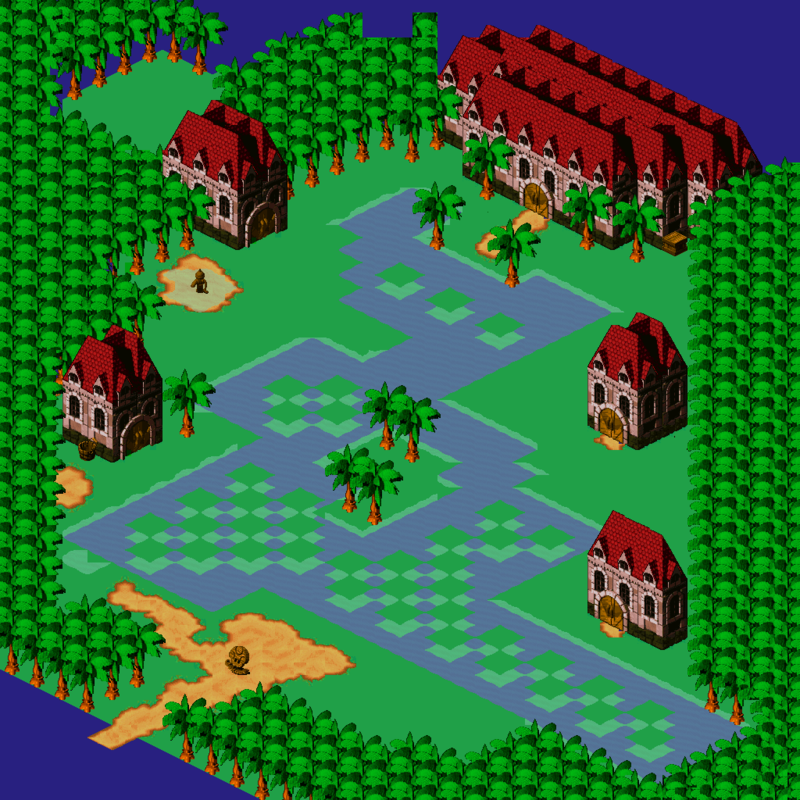 If you made the town like toad town, then it will be amazing, but what if it doesn't fit, then you can put your own town instead or something that is similar to another town. You should really make all the dungeons like Zelda style. I have 3 ideas for now so you can think whether you can put it in your hack or not. Idea 1 : Sidequests- usually almost every Mario game has sidequests and Zelda too, so what if there were a lot of sidequests in SMRPG? then you can the sidequests based on events like the whipster can be a side boss in booster's tower and if you win the sidequest, you can get rare items and get a lot of money. Idea 2 : Custom animations for characters. I was thinking if you can actually make your own animations and then put them on the party of everyone for ex. (a custom Bowser animation of the punch from M&L BIS) and then you insert it with the old animation and then you get to see the new animation in the game cool huh ? Idea 3 : ASM!- I don't know if asm is possible to do in SMRPG, but if there was custom asm like (a simulator that you can use to restore hp every time you have low hp) then that will be cool. Maybe you should add custom objects that have whether asm in it or different kinds of scripts inside. About the whipster enemy. Whipster is a kind of tornado enemy with like yellow angry eyes, two arms and has a black whip on both of the hands. And that's the information on what the custom boss, whipster is. I'm going to be honest, some of your ideas sound a bit... ambitious! But I'll consider them! 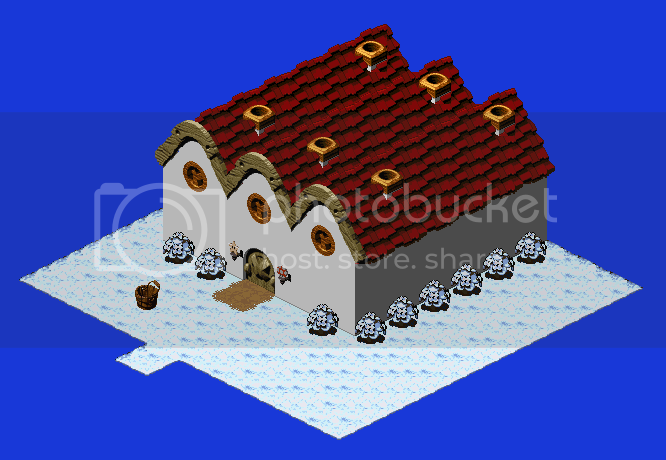 On something like Toad Town, as much as I'd love something that big, I don't think it'd work in my hack. There will be a hub town though. Idea 1: Yes, I do want to make some, but I don't really know yet. I was considering making something called a "memory album" that lets you view memories from Mallow. With that, there could be side quests that you have to collect those. Idea 2: The most I will do are sprite edits. As much as I'd love the M&L BIS punch I can't sprite Bowser. Idea 3: If I knew how, I would. I thought of replacing the mushroom status with a regen effect, but alas I don't think it'll happen. I was thinking of creating something like Minions you could summon during battle, but I haven't gotten around to make the animation scripts to see if it'd work. It wouldn't require ASM, just the animation scripts. If I could get that to work, then it'd open a whole lot of doors for interesting battle mechanics (regeneration, enemy attacking enemies, using a player command to unleash the ally monster's special attack, etc). Whipster: That idea sounds totally silly! If I could sprite that I would include, really. I probably COULD make it like the desert tornado like in SMB3, then make a face or something. I'm working on the hub town, which I've dubbed "Marsh Mallow". This will be the main town that represents Mallow's subconscious. Screens coming within the week! Never expect a battlefield outside of boosters tower. I bet it will be fun to play the hack ^0^. Yep whipster can be like the desert tornado from SMB3. Maybe if you put all theses cool ideas in your hack, I think you may need more than one person to at least help you in your project, so you guys can get things done fast. I will consider your suggestions. Being a project leader kind of sounds intimidating. I don't really have the experience of managing people. I would much rather be a member than a leader. I just don't really know how to give directions or work as a team. Plus, I kind of just want to do what I want to the quality I want it at, and since I'm quality control I don't really know how to say "no" if there turns out to be something I don't want. It might also be hard for me to include everyone's ideas for larger content elements like areas, spells, sprite animations or even the story elements (because it's not even clear to me yet), but that's just my opinion. I guess by the sounds of my writing I'm pretty scared of the idea of building a team, but I wouldn't hold it out of question. If someone does really want to help by making some content, I would try to include it, though making a team will probably be something I'd not consider, at least right now. Thank you for your kind words. I think the most I'll do now is try to keep this thread updated and look for feedback that way. Hopefully I can go far making something by myself, but we'll just see in the next few months. Yoshi is going to take Toadstool's role as healer in this hack. The robot can be something else. Currently finishing animations and final spell list, I have all the planned spells except for Robo Geno. Stay tuned for more updates! Wow lots of text here XD. No problem man. Just keep doing on what you're doing and soon you will have success on your project . I like the idea of Yoshi being a new partner now. Heal 3 can maybe be ( Eggfeast, CookieAll, and also Yoshi's special). I've been keeping an eye on this project for a few weeks now and I love what I'm seeing so far. Did you draw the new Yoshi sprites (?) because they look official (to me), very well done.